Whether you’ve scheduled an Everglades airboat tour with West Palm Beach Airboat Rides or you’re considering booking one in the future, you should be properly prepared. Everglades tours are exciting, as they’re a truly unique experience unlike anything else. It’s not every day that you get to experience the Everglades up close and personal, so it’s vital that you get everything right before you step on board. If you’ve never ridden on an airboat tour before, you should know that there are a few things you should do to prepare accordingly for your upcoming trip. 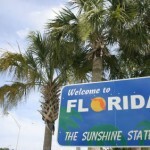 Despite being known as the “Sunshine State,” Florida’s weather can be unpredictable. One minute there won’t be a cloud in the sky, the next it’s raining as if we were in the middle of hurricane season. One day it can be very windy, while the next it’s far too humid to even step outside. Before your West Palm Beach airboat ride, make sure that you’re dressing appropriately for the occasion. Check the weather the day of to make sure there won’t be any surprises while out on your airboat. During the winter, we suggest wearing jeans and a long sleeve or windbreaker, as the increased speed along with the temperature might be chillier than you would have preferred. There are a few essentials that we would recommend bringing on your next Everglades airboat tour. If you’re planning on wearing short-sleeved shirts and shorts, you may want to bring some bug repellent for the mosquitoes. You’ll most likely only have to use it during the summer, and even then we move so quickly that the mosquitoes can’t quite keep up. You’ll also be seeing some gorgeous vistas and locations, so you may want to bring a camera, cellphone, or video recording device. Make sure to leave behind any jewelry and other belongings you wouldn’t want to lose. We move at quick speeds and glide across the water, so anything you lose will be very difficult to recover. The Everglades is a vast open expanse with a deep-rooted history. With hundreds of flora and fauna species calling the Everglades home, there’s so much to learn. Come ready to learn and have questions at the ready for your captain. They’re well-versed in the Everglades and have spent years captaining our airboats around the Everglades. They’re more than happy to answer any questions you may have, as well as provide you with some interesting facts of their own. Most importantly of all, you should get excited about your upcoming Everglades airboat tour with West Palm Beach Airboat Rides! This is a one of a kind experience unlike anything else, and we want nothing more than for you to love every second of it. Whether you want to spot alligators, go bird watching, or enjoy a high-speed tour as we glide across the water and prairies of sawgrass, West Palm Beach Airboat Rides is ready to provide that experience for you. If you’re interested in booking an Everglades airboat tour with us, contact us today at +1 (561) 290-8302! Why Are Private Airboat Rides Better? Even if you’ve lived in Florida your whole life or visiting on vacation, you truly haven’t experienced South Florida until you’ve ridden on an Everglades airboat tour. There’s nothing quite like gliding across the vast waterways of the Everglades. 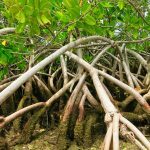 Whether going under the mangrove forests or between the great walls of Sawgrass on each side, airboat tours are one of the most amazing things you can experience while in South Florida. That said, many companies offer public tours, while others offer private airboat tours. Despite public airboat tours being relatively common, you’ll find that private tours are far better in every single way. One of the most enjoyable aspects of being on a West Palm Beach private airboat tour is the resounding peace. One of the major issues with public airboat tours is that they stuff as many people as possible onto one boat. You will most likely be seated next to a random person and family. People will yell and talk throughout the trip, making it impossible to really take in and appreciate the Everglades for all it’s worth. You’ll find that it’s far more peaceful throughout your journey, as the only voices you’ll hear are your own or those of your fellow passengers. You won’t have to worry about people talking or yelling the entire time, as private airboat tours hold far fewer people. The Everglades is a quiet and peaceful ecosystem and it can’t be fully appreciated if you have someone yelling in your ear the entire time. On a private airboat tour, you have the pleasure of learning so much about the surrounding area, thanks to your well-versed captain. They’ve spent large portions of their lives traversing the Everglades, so they’re able to answer any question you may have. On a public tour, most captains stick to a script given to them. This script will cover anything from the history of the Everglades to some of the species that live in the area. However, they may not be able to answer any questions outside of the script. Depending on where you’re sitting on the boat, you may not be able to hear them. If people are talking and the engine is still running, chances are you’ll miss anything the captain may have said. You’ll never have that issue on a West Palm Beach Airboat Rides, as our captains are trained to ensure that you catch anything they may say. The major downside of public airboat tours is that they restrict your airboat tour experience. Most public airboat tours restrict you to only 30 minutes, and they stick to a predetermined path. You could do the same tour three times straight, and you would see the exact same tour every time. On a private airboat tour, you get to choose what you want to see and do while aboard. 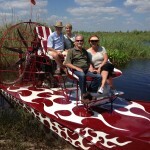 If you’re looking for thrills, you’ll love the high speeds of our custom built airboats. Others may want to go birdwatching and may elect for a slower paced two-hour tour. West Palm Beach Airboat Rides ensures the choice is up to you, and we’ll just get you where you want to go. If you’re looking for the best Everglades airboat tours, then you need to book a tour with West Palm Beach Airboat Rides. We offer the best private airboat tours all year long. Contact us today at +1 (561) 290-8302. Airboat Rides are one of the best ways to see the rivers and marshes of areas like the Florida Everglades. As a scenic place you could ever hope to visit the Everglades is breath taking. Airboats are a long-established part of the scenery, and there’s nothing quite like hopping on to one to get a tour around the wildlife. Airboat rides is a thrill for visitors of all ages and walks of life. There’s no reason to sit on a boring barge when you can see the rivers and marshes from a genuine old-fashioned airboat. The distinctive shape of the big rear propeller is about as close as you get to a symbol of the Florida Everglades, short of the alligators themselves . Visitors consistently say that taking a ride in an airboat was the most exciting and memorable part of their whole trip. The thrill of the ride is how close you get to nature and the great outdoors. With the wind in your hair and the spray from the water adding to the experience. When going on an airboat ride, you’ll want to take some well-soled, flat shoes along with you. Your airboat tour operator will usually supply you with ear protection should you want it. Normally he will have binoculars on hand to help you see the wildlife as close up as possible. Other accessories you’ll want to take on an airboat tour include things like sunscreen and sunhats . A jacket to keep yourself dry and warm; plenty to drink. Although again, many tour operators will provide refreshments as part of your ticket price; and, last but not least, a camera to record the experience! On your airboat ride you’ll see beautiful and rare birds such as herons, ospreys, egrets and cranes. And if you’re lucky, you’ll catch sight of the legendary alligators that populate these marshes and rivers. An airboat ride is not just about a thrilling ride through the water, though. Airboat Tours also fulfill a valuable and vital conservation function. The tours educate visitors about the unique ecosystems of habitats like the Florida Everglades. As our native wetlands come under threat from a variety of sources, it’s important that public awareness of these special places is as strong as possible. So an airboat ride isn’t just a bit of fun, it can also be an educational experience for the whole family. Contact Us today for a Thrill rid on an airboat.